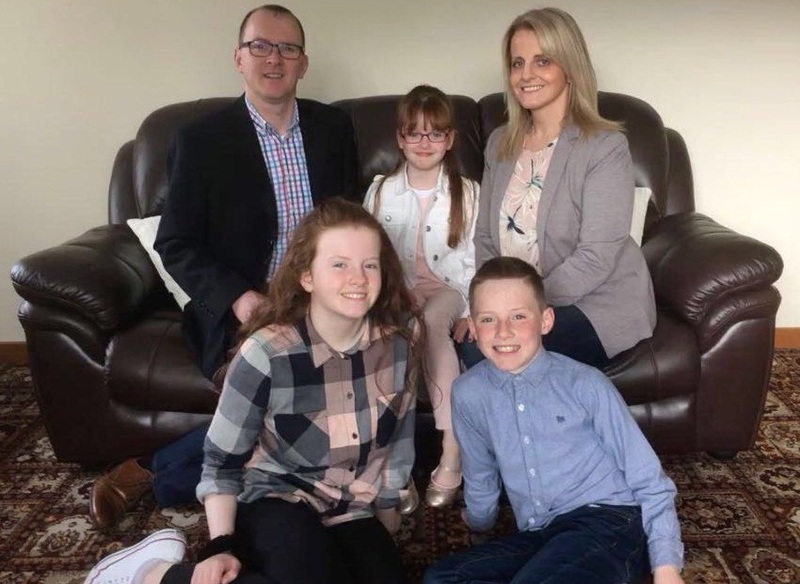 Warrenpoint stroke survivor Shane Fearon is one of the thousands of people living with communication difficulties after a stroke. 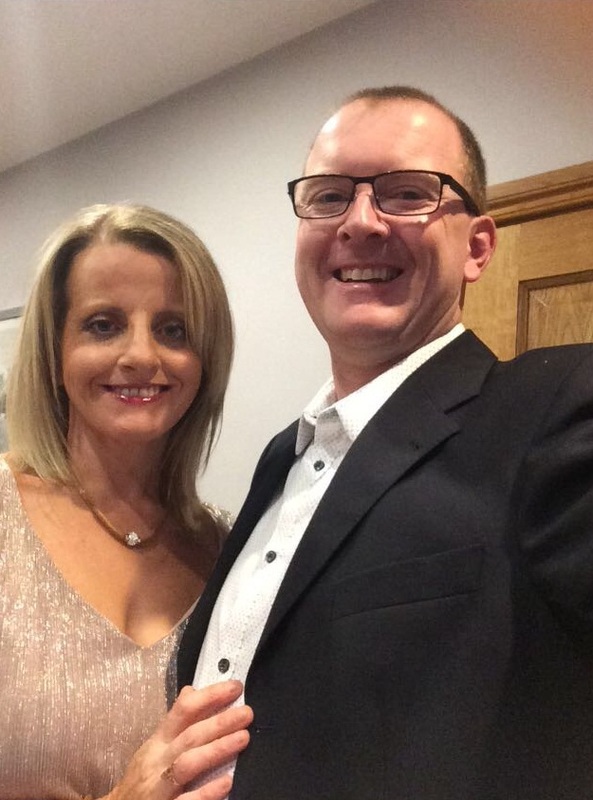 Shane has aphasia – a common communication difficulty after a stroke. Aphasia can affect a person’s ability to understand, speak, read, write and use numbers; however it doesn’t affect a person’s intelligence. Shane is married to Rosaleen and has 3 children – Aoife, Connor and Orla. Shane had his stroke on 5 August 2016 when he was only 42. He was home alone at the time. He noticed his leg didn’t work properly – but didn’t think anything of it and thought “don’t worry I’ll be ok in a bit”. Speaking to Newry Times, Shane explained, “When I woke up that morning I had a sore head – I phoned work and asked for the day off. Sometime later I thought I would be ok but when I went to get up from bed I realised my leg didn’t work. I thought I would try again in 15 minutes but it hadn’t gotten any better. Shane was taken to Daisy Hill Hospital and then immediately transferred to the Royal Victoria Hospital for a brain scan. The journey to the RVH was not ideal as there had been an accident on the main road and they had to take some very bumpy and winding back roads. When he arrived at RVH he went for a brain scan and then transferred back to Newry. Shane continued, “I didn’t really understand that I had a stroke until around two weeks later. Initially my stroke affected by right arm, right leg and face but now my biggest problem is with my speech. Shane received support from the local Community Stroke Team and says that while the support that he received from them was excellent; during the breaks when he didn’t have any Speech and Language Therapy, he felt that his speech was getting worse when he didn’t have SLT. Before his stroke, Shane was a Structural Engineer and held a senior position as an Associate Director. Due to his stroke he was unable to return to work in the same manner but says that his employer was excellent in enabling his return to work. Shane says, “Six months after my stroke, I went back to work two days a week then in August 2017 I went up to four days a week. I work Monday, Tuesday, Thursday and Friday. The break in the middle means I am able to recharge and get ready for the rest of the week. 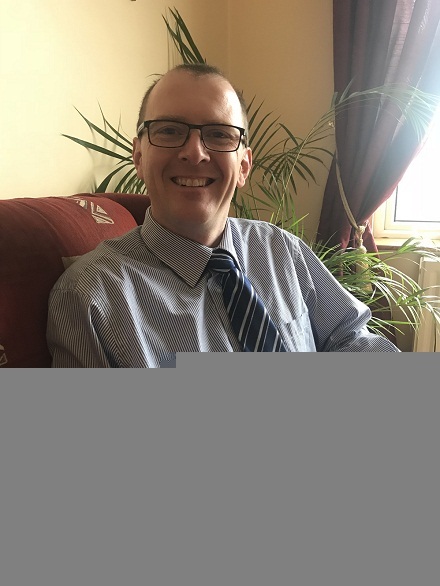 In June 2017 Shane joined the Stroke Association’s SLT Communication Plus programme in Newry run by Speech and Language Therapist Catherine Lowry. The SLT programme is partially funded by the Southern Health and Social Care Trust. Shane continued, “The group I joined was small – there was only 4 people as well as me in the group. We all have different levels of aphasia so this small group enabled us to have good conversation and good chat with other stroke survivors who had been through similar situations. The Stroke Association’s Lost for Words campaign aims to raise awareness of the challenges stroke survivors with communication difficulties can face, and help and support available. The Stroke Association’s SLT Communication Plus programme aims to increase participants’ knowledge and awareness of stroke and associated communication difficulties post stroke i.e. aphasia. More than 350,000 people in the UK have aphasia, a communication disability which can be caused by stroke. The Stroke Association is urging people to show their support for stroke survivors who are lost for words and make a donation. For more information, visit www.stroke.org.uk/lostforwords. For more information on the Stroke Associations SLT Communication Plus programme, contact the Northern Ireland team on ni@stroke.org.uk or call 028 9050 8020.